WHAT IS THE CRAZE OVER SAINFOIN ALL ABOUT? Sainfoin is a non-bloating legume that has nitrogen fixation capabilities and can be used in a forage mixture. 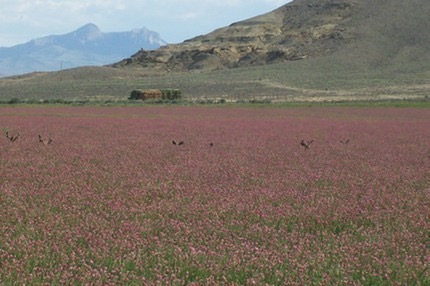 Sainfoin also is extremely palatable and nutritious for all classes of livestock and wildlife. Livestock actually�prefer�sainfoin even when other plants species are readily available. Other uses include wildlife habitat restoration, wildlife food plots or as a legume component in the conservation reserve program (CRP). 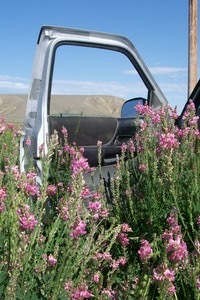 Sainfoin is often compared to alfalfa based on its nitrogen fixation, forage capabilities, and nutritional value. The main advantages of sainfoin are the earlier maturation rate, non-bloating qualities, resistance to the alfalfa weevil and higher digestible nutrients when compared to alfalfa. Another important advantage over alfalfa is that sainfoin is resistant to the root rot phase. The earlier maturation allows for earlier spring forage for grazing and hay cutting which is beneficial to livestock operations (Gray, 2004, p. 2). 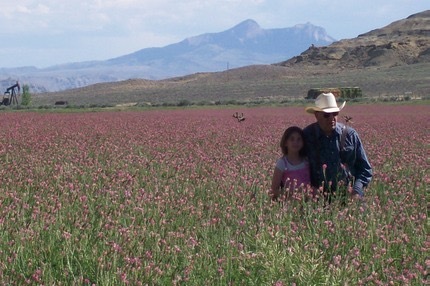 We have the highest quality �Delany Sainfoin Seed you can find at a Price that will not be beat! Our Angus Beef Cattle love it! They prefer it to alfalfa and we love it because it does not need fertilizer which cuts our cost of feed significantly. Order your seed now as we are selling out fast! * All Livestock Love IT!